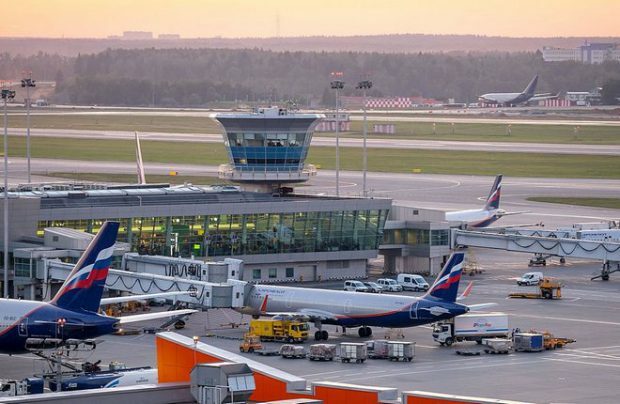 Aeroflot has congregated all of its domestic operations at the new Terminal B at its Sheremetyevo (IATA code: SVO) Moscow hub airport, with some 400 daily federal flights operating from the terminal from mid-November 2018. Russia’s national carrier has completed the transfer of all of its domestic flights to the new terminal, with only services to Russia’s far east destinations – eight daily flights to Vladivostok, Khabarovsk and Petropavlovsk-Kamchatsky – continuing from Terminal D.
Aeroflot subsidiary Rossiya Airlines, which recently switched a number of flights from Moscow’s Vnukovo airport to SVO, is operate 32 flights to the 11 destinations of Sochi, Magadan, Khabarovsk, Krasnodar, Mineralnye Vody, Petropavlovsk-Kamchatsky, Orenburg, Rostov-on-Don, Simferopol, Yuzhno-Sakhalinsk and Vladivostok from Terminal D. These will be operated jointly with Aeroflot airline. Launched in May of this year, Sheremetyevo’s Terminal B is purpose-built for domestic operations. Offering a floor area of 100,500 square metres, it provides an annual capacity for processing up to 20 million passengers (4,200 per hour). Transfer passengers are now able to use an underground fast-track connecting tunnel which links the northern (new Terminal B) facility with the southern terminals (D, E and F). With only four minutes of travel time between the terminals, using a driverless, fully automated train, gives a guaranteed maximum connection time of up to 50 minutes throughout the entire airport. In its latest five-year strategy for the period up to 2023, in addition to Sheremetyevo, where as much as 85 per cent of all of Aeroflot’s operations are now concentrated, Krasnoyarsk’s Yemelyanovo airport (KJA) has been selected as a second hub serving international destinations. In addition, the group is creating three new regional bases at Sochi, Yekaterinburg and Novosibirsk.